How bank note paper is made Jump to media player The Landquart paper mill in Switzerland makes the paper for Swiss francs and euros as well as bank notes for many other countries. Production manager Marco Zeithen gave the BBC a tour. Do we need quantitative easing? 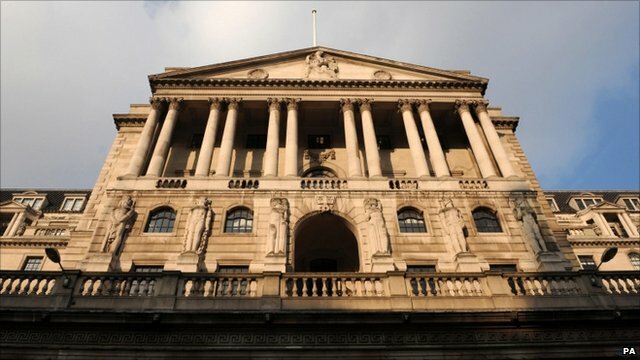 Jump to media player Radio 5 live asks two financial experts whether the Bank of England should consider another round of QE. The Lanquart Paper Mill in south eastern Switzerland has been making security and speciality paper for more than 100 years. It is the only mill in the world that makes the paper that is used for the Swiss franc. Once the paper is produced it is sent - surrounded by high security - to other factories where the currency notes are then printed. Marco Ziethen, the production manager at Landquart showed the BBC how it makes money. Go to next video: Do we need quantitative easing?